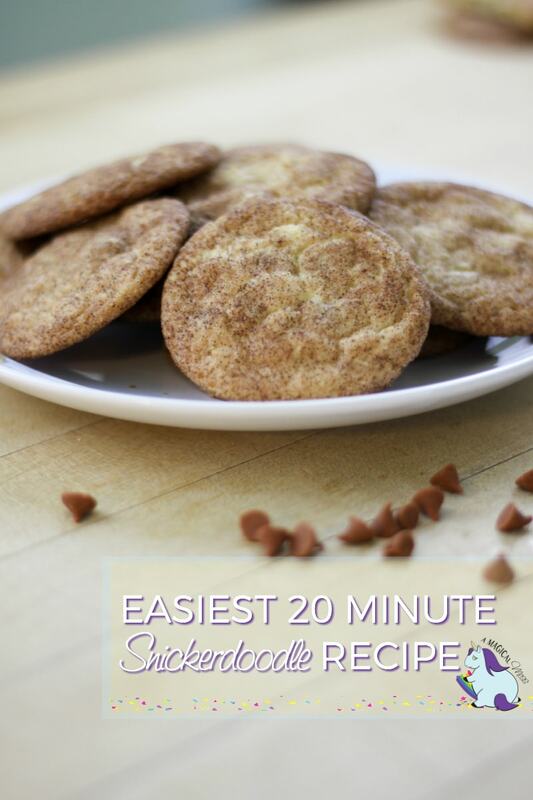 It’s always a good idea to have a quick and easy snickerdoodle recipe in your kitchen toolbox. Especially around the holidays, you just never know when you’re going to need to whip up a batch for surprise guests or a last minute gift. With this recipe, you can have yummy, fresh from the oven cookies in just 20 minutes. This is a sponsored post but all thoughts and opinions shared here are my own. I find myself having to run to Walmart at least once a week. There is a location just 6 or 7 minutes from me and they have everything I need at a price that fits my slim budget. This season I decided to grab a couple tubes of Pillsbury cookie dough and cinnamon rolls. They last in the fridge for weeks and give me peace of mind during the holiday craze that I have something sweet in a pinch. We made cinnamon french toast when my girlfriend came to town and YUM! 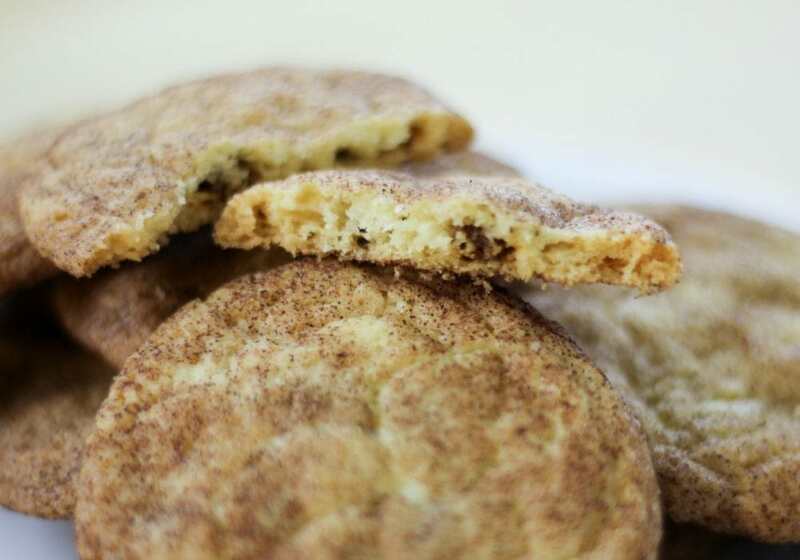 For a special and simple touch, we turned the Pillsbury sugar cookie dough into snickerdoodles with molten cinnamon bursts and boy, were they a crowd pleaser! In just 20 minutes they were ready-to-eat and the house smelled delightful. Take teaspoon size balls of the Pillsbury sugar cookie dough and flatten in the palm of your hand. Gently roll the cookie ball in cinnamon sugar and place on an ungreased cookie sheet. Let cool on the hot pan for 5 minutes and then place on cooling racks–or eat them while they’re gooey! Store in a covered container. Or gift them in a pretty cookie tin. NOTE: I had originally hoped the chips would create a more molten center and not spread so much. But these turned out great with an added flavor punch in every bite. I am going to try adding 1/4 teaspoon cream of tartar to the dough next time to decrease the spread and see if that allows them to stay in just the center of the cookie. Save time to spend more time with family and stock up on Pillsbury cookie doughs and cinnamon rolls at Walmart to have on hand all season! 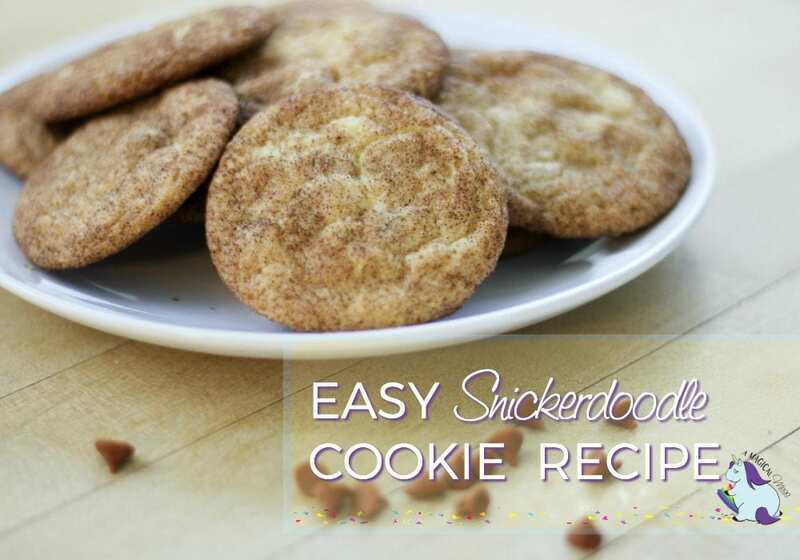 How will you use this easy snickerdoodle recipe? This Snickerdoodle recipe does seem easy for me to try and I know my family would really enjoy it. Fast and easy – I like that! Gonna make soon – thank you. this is an easy recipe. i love to eat warm cookies. they melt right in your mouth. thank you. I need to try these with the caramel chips. I think that would really step up my snickerdoodle game! I love Snickerdoodle cookies. This looks like a great recipe. These sound delicious and easy to make, will definitely be trying this recipe. I love the idea of dressing up pre-made cookie dough to put your own spin on it. And now that you’ve got me thinking about it, it’s been much too long since I’ve had a snickerdoodle. Thanks for sharing your quick and easy recipe. Do they sell cinnamon chips at the grocery store? I have not seen these, but I am sure going to look for them. That would be so yummy. Yeah, we have them at our local grocery store. My favorite part is the cinnamon! I love anything to do with a nice Snicker-doodle. I thank you for the review, and for sharing this information. I love Snickerdoodle cookies! They are so good and I want to make these cookies right away! Thanks for sharing. I would use this snickerdoodle recipe for dad’s birthday he loves these thanks for sharing this one.